At Thomas Dunton, we have a team of highly experienced Personal Injury lawyers. To reflect their expertise and the wide range and complexities of personal injuries, we have a separate website where we are able to provide extensive information on various types of injuries and of the exemplary service we can offer our clients. To visit our dedicated site, please click here. Personal Injury — Do you have a claim? If you have suffered an injury at work (including industrial disease), on a sports field, on the road, in a public place, tripped on an unsafe pathway or been injured by a defective product or equipment, you may have a claim if it wasn’t your fault. You may also have a claim if you have been the victim of a criminal assault or suffered through clinical negligence. Generally to pursue a claim the injury must have occurred within the last three years. However, there are exceptions, for instance for children or where the consequences were not immediately apparent. 1. 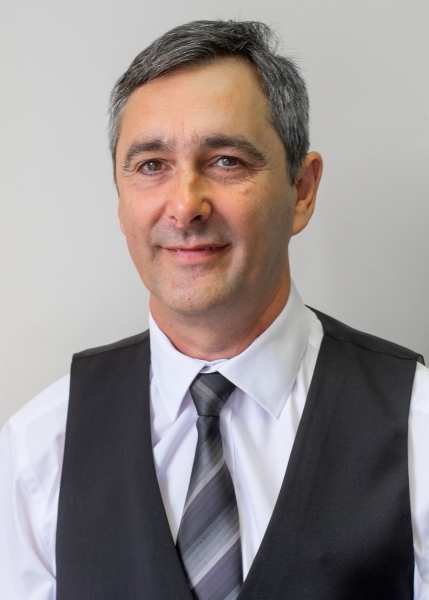 Specialist Personal Injury Team – we have a specialist team headed by Robert Sardo who, with over 20 years experience, has Senior Litigator Approved Status with the Association of Personal Injury Lawyers (APIL) and is an Approved Member of the Law Society’s Specialist Personal Injury Panel. 2. Qualified lawyer — When you speak to us you will be talking to a member of our team who is qualified lawyer, not a legal advisor at a call centre. 4. Home & Hospital appointments – should you unable to attend our offices, we will be pleased to meet you at your home or hospital. 5. Maximum compensation — We will strive to achieve the maximum compensation for your injuries. 6. No win, No fee — We can offer you a full range of funding options including “No win, No fee”. You do not have to pay any upfront costs and there will be nothing to pay should you lose the case. Please click here to view all the methods of funding available to you. 7. No hidden costs or extra fees – We will explain everything in detail so you know exactly what your costs are likely to be before you decide whether to instruct Thomas Dunton. 8. Rehabilitation – something many others overlook but vitally important. Apart from striving for the maximum compensation, we will be actively pursuing the defendant to fund additional medical treatment to enable you to get back to full health as quickly as possible. As a local solicitor we will be familiar with local services such as Osteopathy, Physiotherapy etc. 9. 24 hours Response — We will respond to your enquiry within 24 hours. It is important for your peace of mind that you know someone qualified is looking into your case. 10. Established over 40 years – we have been representing clients with personal injuries, ranging from broken limbs to severe brain injuries, within Kent and S E London for several years. We are local, professional and trusted. You may be tempted into using a law firm who advertise on TV or in national newspapers or your legal expenses insurers (eg your car or home insurers), but can they provide the benefits of a personalised service from a qualified and independent specialist such as Thomas Dunton ? A client wrote of Robert Sardo – “He always made us feel like we were his most important clients. He provided a fast and professional service with a politeness and discretion that is second to none. We cannot recommend Mr Sardo more highly“. We have been advising the public with their Personal Injury claims throughout Kent and the South East London for over 40 years. We have clients from all areas including Bromley, Chislehurst, Orpington, Petts Wood, West Wickham and Hayes, Bexley, Dartford, Swanley, Biggin Hill, Westerham and Sevenoaks. Please click here for more information about the benefits of using a local lawyer to pursue your PI claim. Claims arising outside the UK, either for personal injury or clinical negligence. Please click here to link with our dedicated Personal Injury website where you will find information on the above subjects. Please click here for more legal advice for Chinese speaking nationals and how Thomas Dunton can help advise you on a number of legal issues. For further information or to arrange a free interview, please contact us on our Freephone Advice Line 0800 146340 or 01689 822554. Alternatively, please complete the enquiry form on the right or email us at accident@thomasdunton.co.uk.